After having worked as a project coordinator for Local Dreamers for the past 16 months, Ruth Hooiveld and her boyfriend Floris packed their bags last week and stepped into their converted van to travel to Colombia. 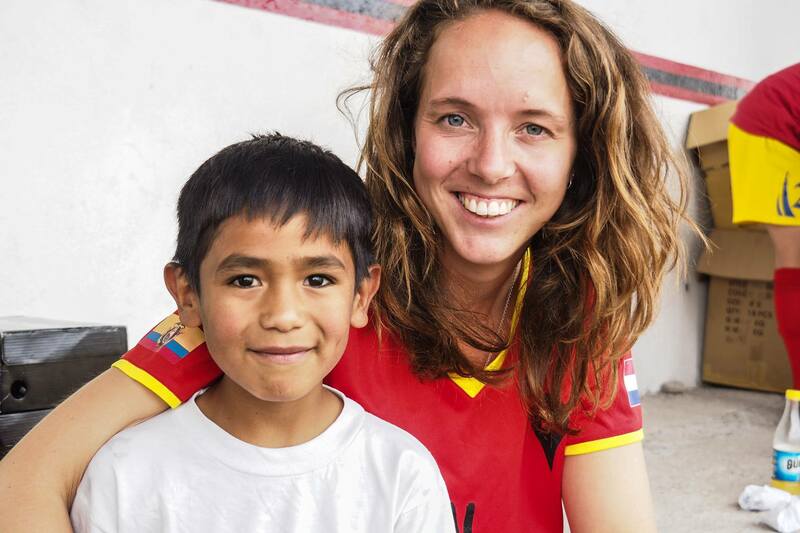 We asked Ruth to look back on her adventure in Ecuador for one last time. And then it was that time. After having worked for the foundation for 16 months, it is time for me to leave. It feels like I’ve blinked twice and am a load of memories and experiences richer. Time flies when you are having fun, as they say. My most beautiful memories? They all have to do with the many great people and friends that I have met and that I have had the privilege to work with. I will miss the great children in the south of Quito that come to the projects with loads of enthusiasm every time. I will never forget their joy, enthusiasm and curiosity. Also, the parents that have been sitting in the stands to cheer their children during football were great! Furthermore, of course my colleagues and all volunteers and interns who make the projects possible and are a lot of fun (and the occasional headache ;)). It is amazing how they contribute to the projects with so much creativity and joy! It was a great experience and I am very grateful that I was given the chance to be here and experience all this. And now? On to a next adventure. With my boyfriend and our converted van we will travel to Colombia, Mexico, the USA and Canada. But first, I will go home for Christmas to give my family and friends in the Netherlands a big big hug.